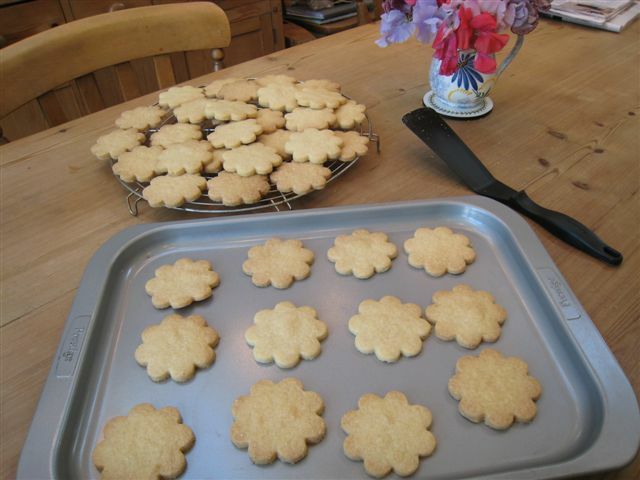 A real lifelong favourite of mine are my mum’s shortbread biscuits. Thirty years on and she is still making them in exactly the same way. Winter is a common time of year that the family can always find some freshly baked biscuits on a rack or plate somewhere in the Kitchen or breakfast room but they can be made and enjoyed all year long. And most importantly, after a weekend visit I’m normally packed off home with half a dozen to enjoy later. 1 Put all ingredients into a food mixer or processor and mix thoroughly until all the ingredients have come together. This may take a couple minutes or more. 2 Roll out on a floured board and cut into biscuits, or if preferred press into tins, flute the edge, mark into triangles and prick with a fork. 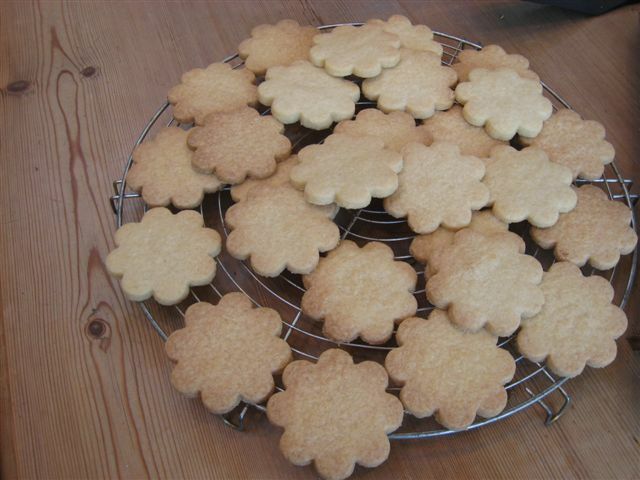 3 Bake for 20/30 minutes, or until lightly coloured, and cool on a wire rack. Biscuits may only take 15/20 minutes. 4 If cooked in a tin cut through marks before the shortbread cools. 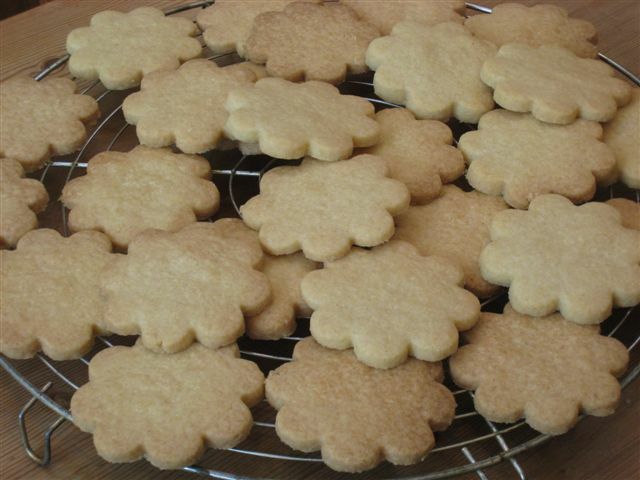 5 The shortbread can be kept in a tin for 2/3 days but also freezes well. * When my children were small I used all sorts of different shaped cutters for special occasions like birthdays, Christmas and Easter. 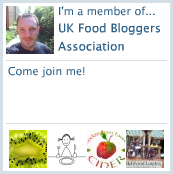 ** If using metric measurements the figures for the ingredients are below, and then follow the recipe. 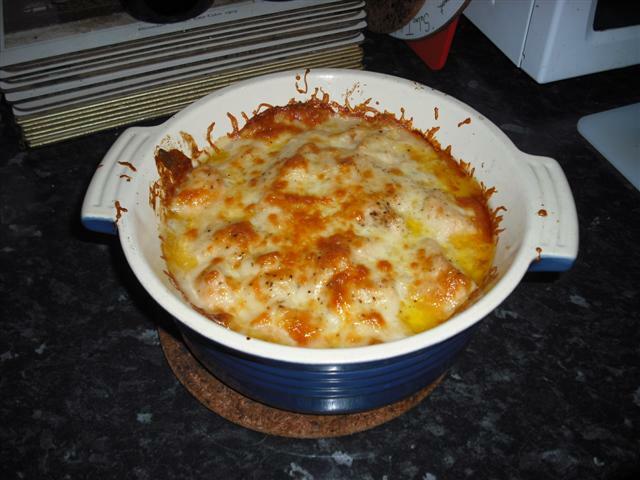 Having benefitted from my mum’s cooking for over 30 years, I feel I have a compelling need to share my good fortune with a wider audience in the hope that they will come to appreciate why I return home so often for a refresher! Mum has a gluten intolerance and yet our diet over the years has never been compromised by this, and we have always eaten the same dishes (except bread cakes and biscuits). 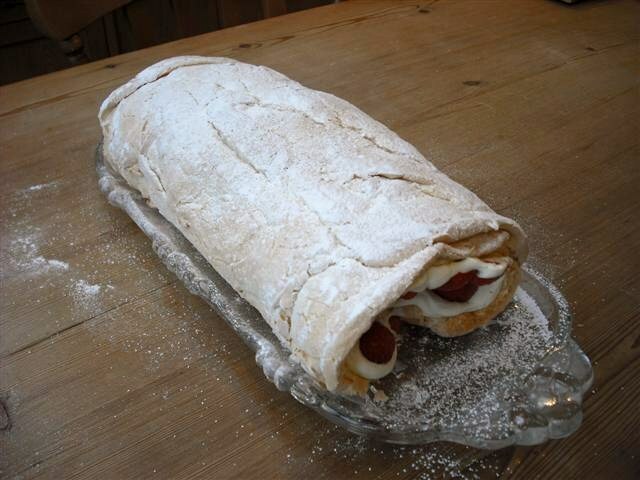 With that said, I wanted to share one of mine and my family’s all time favourites in my first post – my mum’s meringue roulade. A 35cm x 27cm Swiss-roll tin lined with oiled baking paper or a silicon lining cut to size. 2 Continue to whisk and add caster sugar a spoon at a time. 3 Then add the vinegar, vanilla essence and corn-flour and mix them in completely. 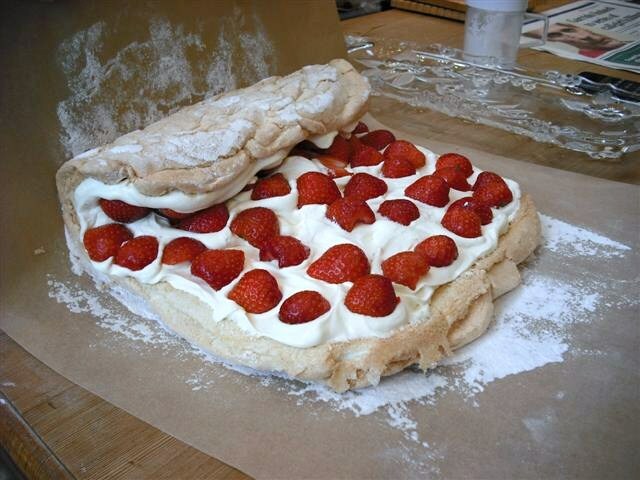 4 Spoon the meringue mixture into the lined Swiss-roll tin and bake for 10 minutes or a little longer if the top not golden. 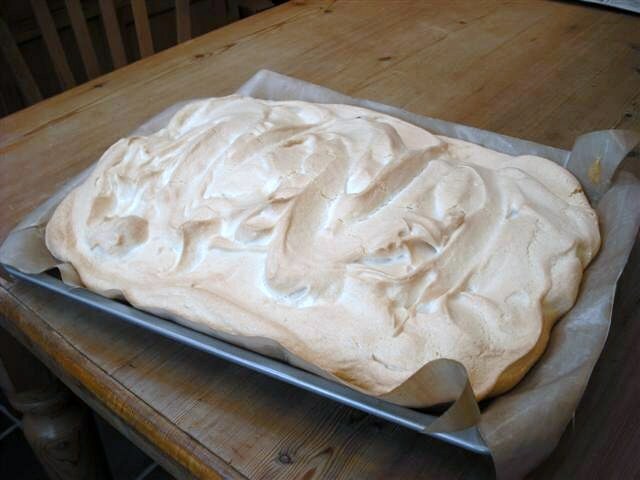 The meringue will have risen but will sink again as it cools. 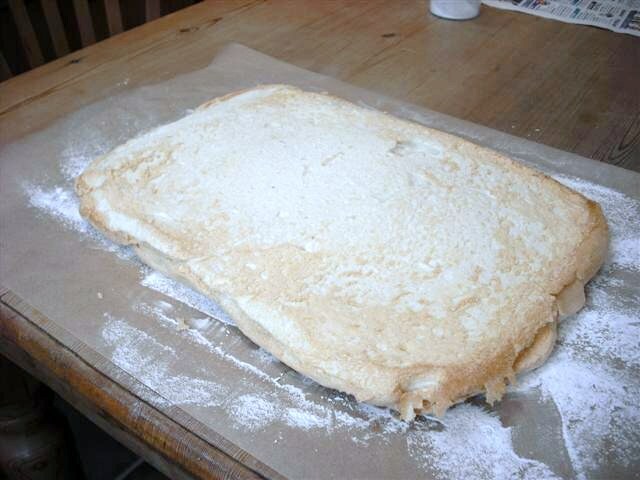 5 When cold, turn out onto a sheet of greaseproof paper dusted with icing sugar. 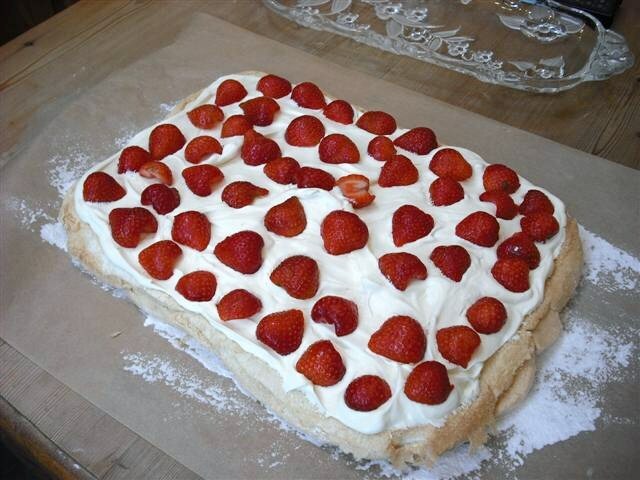 6 Whisk cream until stiff, spread onto meringue and then add fruit of your choice. 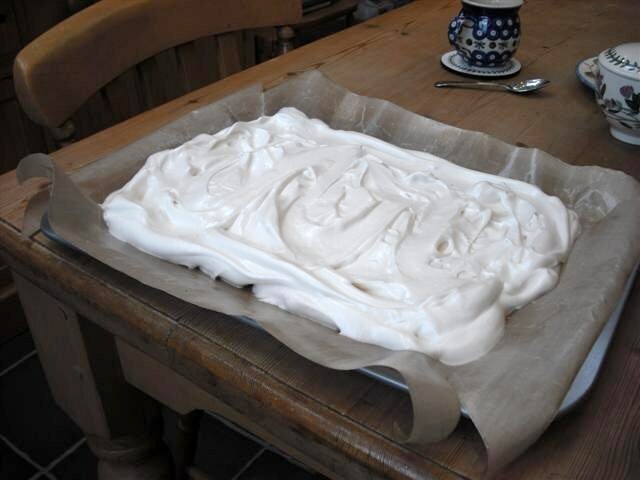 7 Using the greaseproof paper to help roll up the meringue, put on a dish and dust with more icing sugar.